I’ll be honest and say there is a catch. But really, who thought there wasn’t?? But how it works is new subscribers to Blueprint can sign up for a monthly subscription at checkout and they get $30 off their order of kits and supplies! With your discount, you can get the Steamfast Travel Steam Iron completely free! 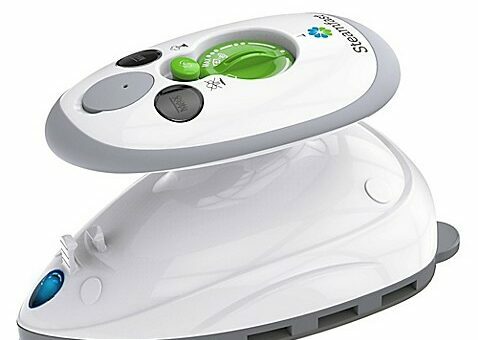 The Steamfast Travel Steam Iron may be small, but it is powerful. It’s the perfect solution for setting crisp creases and removing wrinkles on the go. It has a one-minute heat-up time and small, versatile soleplate, which makes it ideal for touching up quilts, garments and pre-cuts. It’s a travel-size iron that’s made with quality and durability in mind, so it’s sure to last for many projects to come. Add a Steamfast Travel Steam Iron to your cart and select Monthly Plan for $7.99/month at checkout to get up to $30 off your order. In addition to your FREE Steamfast Travel Steam Iron, you’ll have unlimited access to all of Bluprint’s 1,300+ classes, plus exclusive shows, new interests to explore, and much, much more! No coupon needed and the offer currently has no expiration date! Just visit Blueprint right now!